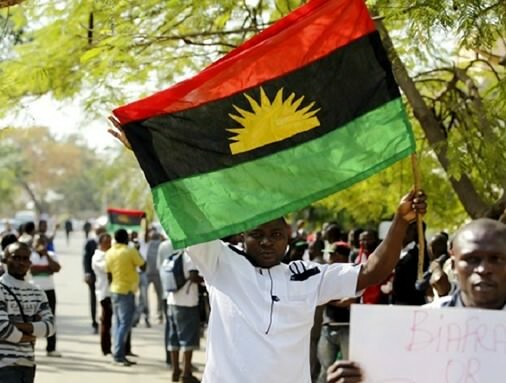 The Movement for the Actualisation of the Sovereign State of Biafra(MASSOB) and the Biafra Independent Movement (BIM) have declared May 22 -30 Public holidays to celebrate what they described as the Independent Anniversary of the Republic of Biafra. The pro Biafra groups said that all states within the Biafra territory would observe the one week public holidays with funfare and activities without fear of molestations from any quarter. Addressing journalists in Abakaliki on Saturday, Chief Gideon Iloke, the leader of the groups called on citizens of Biafra anywhere within or outside the country to return home with their families and loved ones for the great occasion, adding that this year’s celebration would be the best since the beginning of Biafra. He disclosed that the celebration would be marked with series of activities such as march past, football competitions, debates, presentations, lectures and visits. Chief Iloke urged all Biafra citizens to come out enmase on May 22 in all the Biafra cities for the “great march” to register their joy and happiness for the survival of Biafra despite efforts by the Nigeria government to suppress them. He urged Biafrans in Ebonyi State to converge in Abakaliki, the Ebonyi State capital, for the great celebration. He noted that there would not be anything like sit at home during the period, stressing that the period would witness unprecedented activities, celebrations and jubilations across Biafran territories. Chief Iloke however said that the groups would maintain their legendary non violent disposition as espounsed by their leader, Chief RAph Uwazurike, throughout the celebration, even as he warned security agencies working for Nigeria government against working to stop them from exercise their fundamental rights. He commended the Leader of MASSOB/BIM, Chief Uwazurik , whom he described as a man sent by God to rebrand, liberate and lead the Biafrans to the promised land for the way he has given hope to the Biafran. Chief Iloke further appealed to the international community to come to the aid of the people of Biafra ,saying it would be a crime against humanity for them to keep quiet while the Nigerian government continued to suppress, intimidate and exterminate them simply because of their desire for freedom. “We are here to tell all Biafrans to that beginning from May 22-30 is public holidays to be strictly observed in all Biafra territories across the South East and South-South to celebrate Biafra Independence. “There is nothing like sit at home during the period. We are calling on all Biafrans anywhere in the World to return home ahead of this great celebration. “The celebration will witness match past football completions, dancings, cultural displays, presentations, debates and visits. We will march and celebrate without resorting to violence” he said.